Here at Hello Love, we have an abundance of interesting and thoughtful gifts that you can give to show just how much you care! Just in case you are not sure where to begin, we have put together a list of remarkable gifts that you can give this holiday season. Layer up in style with this DREAMY Poncho from Barefoot Dreams. Perfect for any occasion—you can dress it up with jewelry or wear it when you are on the go. 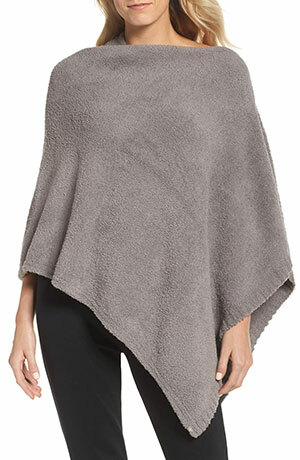 This poncho is comfortable and is easy to get on and off which makes it perfect for travel. You can compliment her with this sterling silver, elegant initial necklace from John Wind. This dainty piece is timeless and will be a wonderful addition to her jewelry box. Looking for a curling iron? We’ve got you covered. Create flawless curls with this curling iron by USmooth. 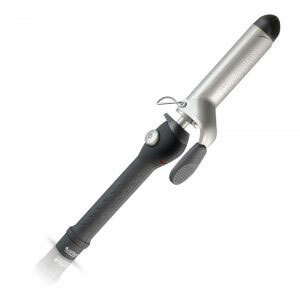 This curling iron has a nano-titanium barrel that maintains heat stability. It also has a temperature control with a turbo heat button that will instantly boost heat. You can give the gift of relaxation with this adorable gift set from Musee. 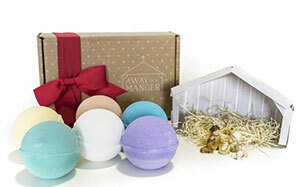 This bath balm set comes with six delightful bath balms and inside each one is a piece of the Christmas nativity scene. The red-bow wrapped box is complete with a pop-up stable to place each member of the nativity scene. What a beautiful way to relax and remember the real Reason for the Season. 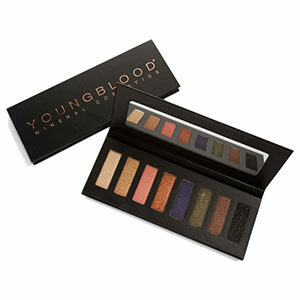 This beautiful set from Youngblood Minerals Makeup can make anyone feel like royalty. This collection of highly-pigmented, jewel-tone shadows will help create the perfect look. 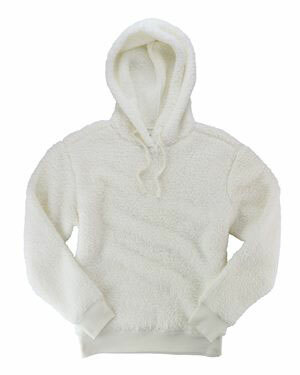 This Sherpa pullover by Boxercraft is sure to keep you warm this winter.You can receive ultimate softness through this 7.4oz., 100 percent polyester double-faced Sherpa. Perfect with jeans or sweats this pullover will make anyone feel comfy and cozy. 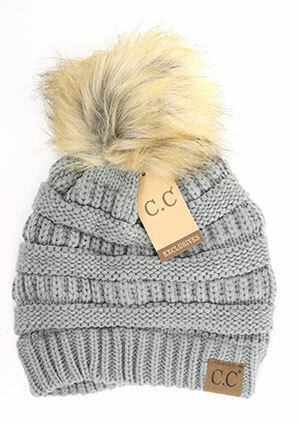 Embrace the cold weather with this super fun pom-pom beanie by C.C. This beanie is perfect for staying warm (and looking cute!) while enjoying the outdoors. 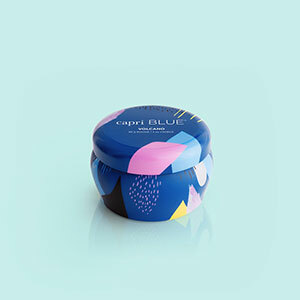 This candle by Capri Blue will light up anyone’s life with its tropical, sugared citrus fragrance. Plus, the tin has a fun design and is oh-so-adorable! This 5” by 3.5” glass ornament features green glitter edging and raised designs featuring a Native American chief, covered wagon, oil derrick, a gold sheriff badge and our state bird, the scissor-tailed flycatcher. 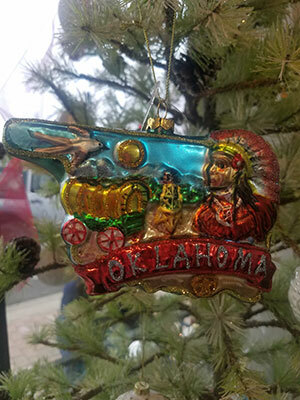 This ornament will definitely make any Okie smile! All of these items and more are available now at Hello Love. We hope to be your one-stop-shop this holiday season. Shop local, shop Hello Love. Thank you for all of your support and love. Wishing you a very Merry Christmas from your friends at Hello Love Salon & Boutique!